The luxury camping site of Le Capanne is located is the stunning Tuscan countryside of Italy with the enchanting hills as a backdrop. The ocean is just over a mile away, which means that this is the perfect location for sun worshippers to use as a base. The excellent swimming pools onsite and other amenities mean that visitors will never need to go far in search of entertainment and relaxation. Everything is provided onsite to ensure that visitors experience the luxurious camping holiday of a lifetime. What makes Le Capanne So Special? 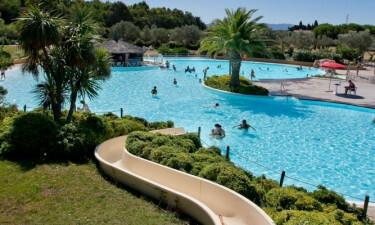 The water park at Le Capanne boasts a 1,200 square mile stretch of water and comes complete with pretty waterfalls, slides, hydro massage and an enchanting wooden solarium. This is a great place for the whole family to have fun, while the site also features a large swimming pool that is set in a large garden surrounded by palm trees. Visitors are given full access to these areas and there are plenty of places to change into swimming gear onsite. Those who enjoy being active on holiday will be able to get back into the swing of things by playing a round or two of golf on the special course at Le Capanne. 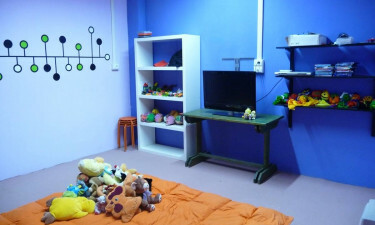 A mini golf course is also provided for children to enjoy either with or without their parents, while other sports activities that can be enjoyed here include tennis, volleyball and table tennis and the kids are also treated to their own special play area. 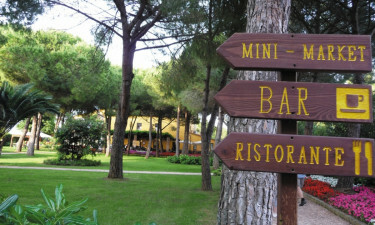 Indulging in decadent dining is a must at Le Capanne and the onsite restaurant provides plenty of excellent dishes that are just waiting to be sampled. This restaurant also serves a good selection of locally provided wine and other tipples and this is the perfect place to unwind in the evening and enjoy a drink or two with a loved one. For those who prefer to make their own, all supplies and essentials can be found at the onsite supermarket, including freshly baked bread. There are also plenty of products here to help cooks cut corners and make meals in next to no time at all, while a good selection of snacks are available at the onsite concession stands. Charcoal grilling is also permitted at Le Capanne, which means that visitors can cook their food right outside their mobile home and enjoy alfresco dining.